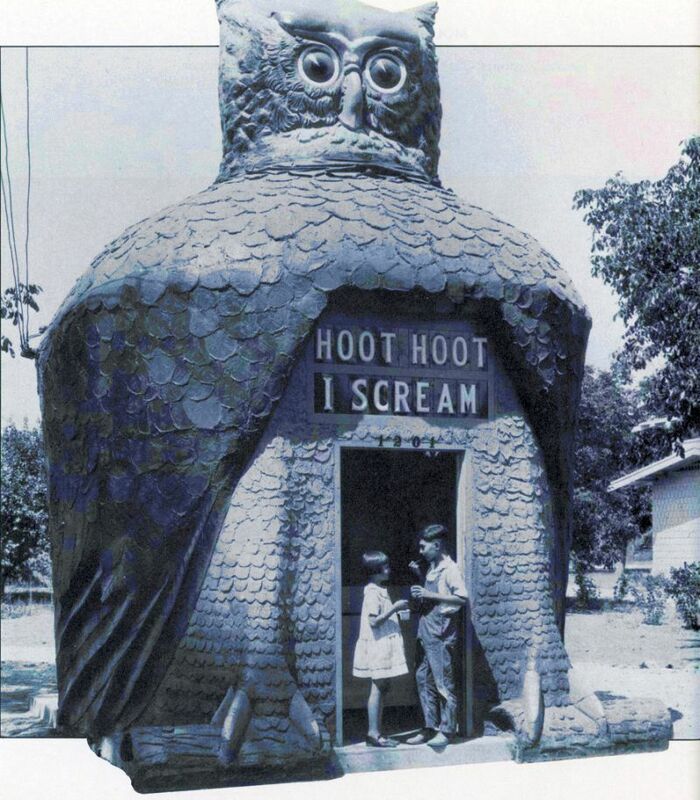 The head rotated; the eyes, made from Buick headlamps, blinked; the sign: Hoot hoot, I scream, used elements of a theater marquee. For over 50 years, Tillie Hattrup ran this L.A.-area refreshment spot designed and built by her husband, Roy in 1926-27. It was demolished in 1979.